In the spirit of finding new ways to help teams work together, we’re bringing Frontiers to new places in 2018. Clarity. Alignment. Empowerment. In a world of information abundance, these are the new metrics for organizational success. At Frontiers, we’ll share best practices to help leaders and their teams create the right conditions for collaboration. 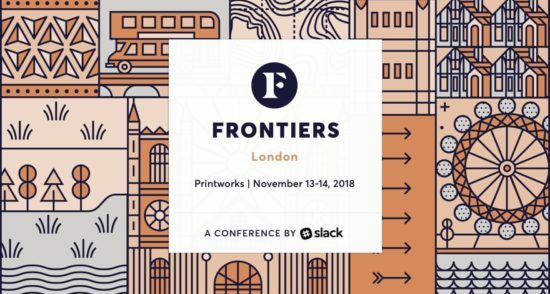 You’ll explore how new ways of working through Slack can accelerate performance, bring bigger gains, and keep your organization competitive as you boldly chart the new frontiers of work. Whether you’re leading or contributing to a team, Frontiers will offer the opportunity to focus on how teamwork is changing for your company and what those changes mean for the future. You’ll come away with concrete ideas you can apply in your organization. Get fresh information about how to accomplish more with new Slack features and partners. 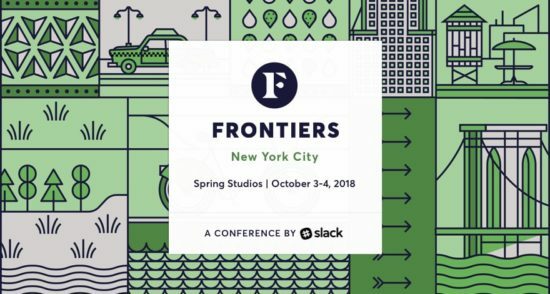 Breakout sessions will feature two tracks on both achieving organizational transformation and acquiring practical knowledge about how to make your team more productive with Slack.